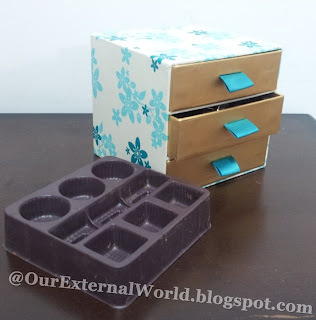 My sister gifted me this cute little box full of yummy chocolates. 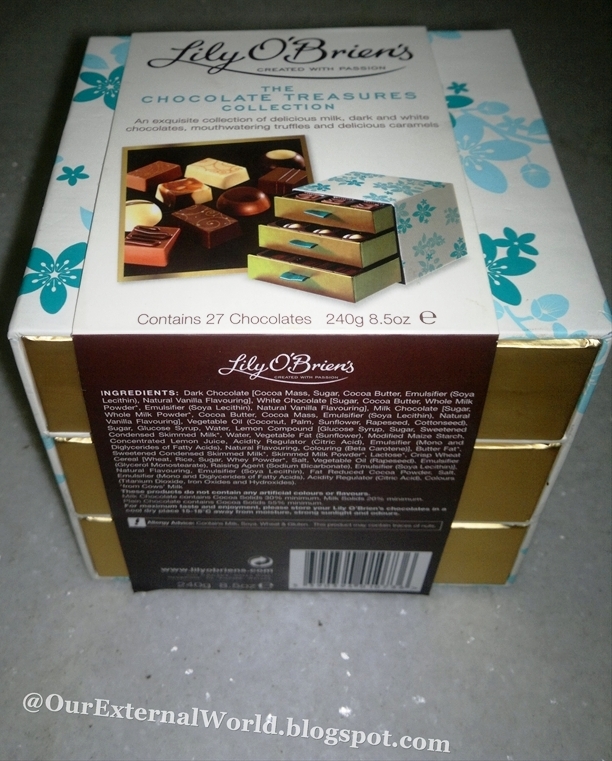 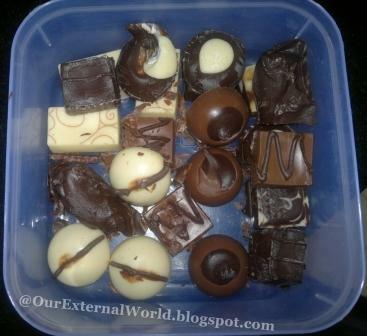 Once the chocolates were all gone I was left with the empty box but did not have the heart to throw it away. After some thought I decided to put it to use. So first I took out all the little brown plastic 'organizer' drawers, and washed and dried them. Next I sorted my smallest jewelry items like earrings and expensive hair pins and placed them inside the drawers. 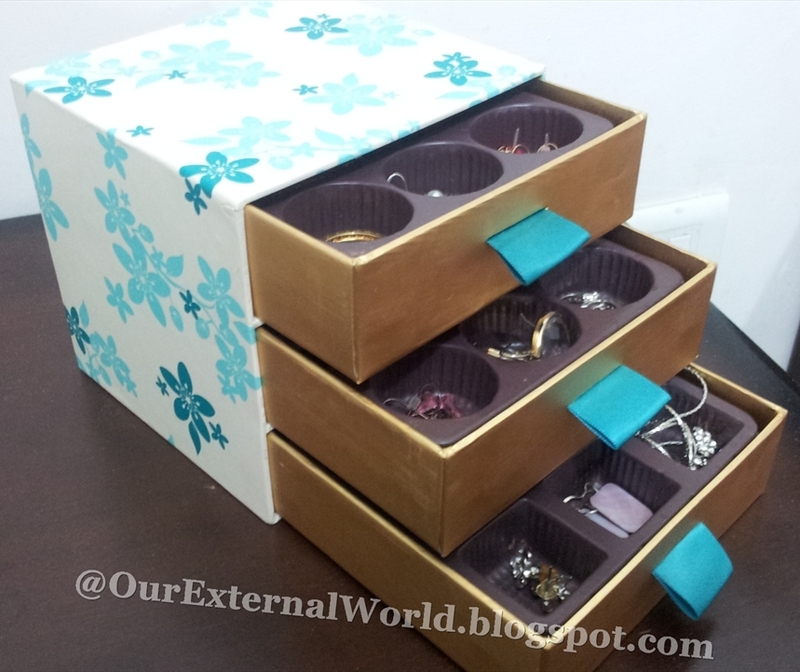 And this now sits comfortably inside my cabinet and gives easy access to the little things when I need them. 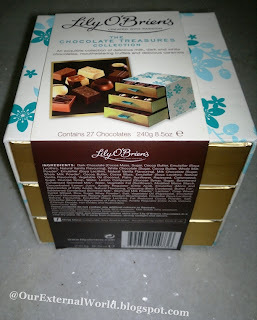 The chocolates inside the box were simply delicious - I took them out and put them in another box for keeping in the refrigerator - they were almost melting in the heat.